Store-bought or homemade, it happens to every loaf, eventually. And while it might not immediately become inedible and caked with mold (ew, gross), there’s a good chance you’re not jumping at the chance to make a sandwich with less-than-fresh bread. But tossing the stale portion of a loaf of bread can cause at least some moderate guilt. What’s a Penny Hoarder to do? Find a way to use that stale bread, of course. Ignore the date on the bag: Judge a leftover loaf by its look and feel instead. Gayle Veum of the Wheat Food Council said the best-if-used-by date on a bag of bread is typically a quality marketing tactic rather than a safety guide. “Don’t throw it away unless it has mold,” she recommended. 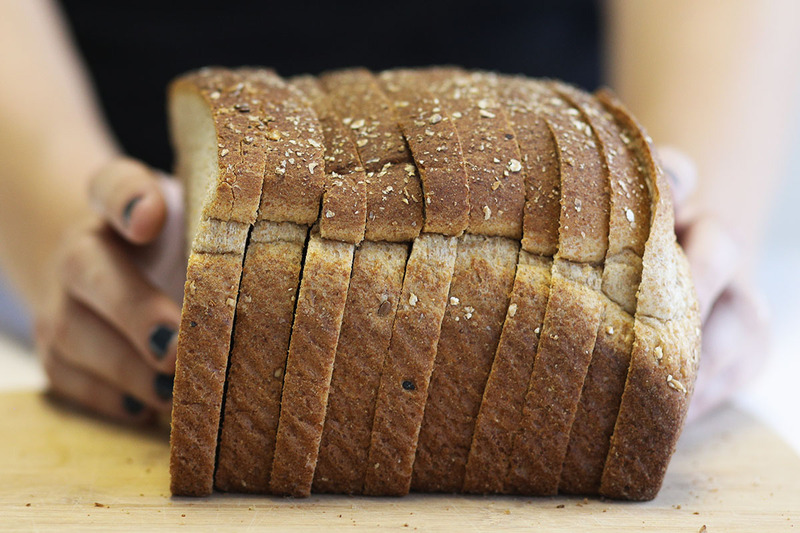 In our modern time, it’s easy to use up that lackluster loaf. Here’s what to do with stale bread. Why spend a few bucks for what is essentially seasoned bits of stale bread when you can make your own instead? Several Penny Hoarders are fans of The Bread from The Pioneer Woman, so we’re directing you to that same site’s crouton recipe. Cut your extra bread into cubes, or tear it into pieces before baking. Whatever shape you choose, homemade croutons will jazz up the average salad. Breadcrumbs are another thing you could make yourself instead of paying $3 per canister. Simply tear slightly stale bread into small pieces, and toss them into a food processor. Grind the bread until you’re satisfied with the size of the crumbs, then add any seasoning you know you’ll want in your finished recipes. Store the crumbs in a zip-close bag in the freezer for a few months. Fresh, moist bread is delicious, but it won’t soak up an egg batter like a slice that’s gone a bit stale. Use yesterday’s — or last week’s — bread for French toast that won’t droop as soon as you pull it out of the pan. Pick off a few small pieces of bread off a just-gone-stale slice. Drop ‘em your coffee grinder, secure the lid and grind away. Once it’s all crumbs, dump everything out — including remnants of blends past. Wipe out any remaining coffee or breadcrumbs with a damp cloth, and marvel at how fresh your next pot of coffee will taste. If your childhood was anything like mine, a cheap way to spend an evening entailed tearing apart heels of old bread to throw to the birds at the lake. Turns out bread is not great for birds. They may need some vegetables and protein, too. But don’t despair, nature and bread nerds: The Canal & River Trust in the U.K.’s campaign to keep ducks healthy includes a recipe for bread pudding! Lisa Rowan is a writer and producer at The Penny Hoarder. She really, really loves bread.